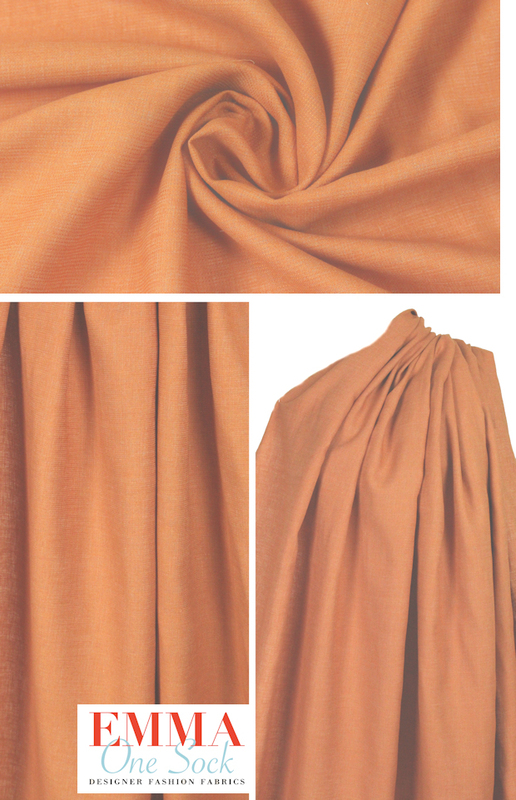 This hemp/recycled poly light weight woven is a pretty all-season and versatile fabric in a lovely soft orange coloring (PANTONE 16-1340-ish). It has a micro-pique' texture and is semi-opaque with a cottony hand and drape, perfect for mens or ladies shirts, top, tunic, dress, etc. Eco-friendly, sustainable and organic! Machine wash, cold, tumble dry low (please test first).